Are you looking to develop your leadership skills? Do you want to make a difference? If you answered YES to both, then consider serving as a Club Officer for the 2019/2020 term! All of us have the ability to become effective leaders. In fact, one of the ways we can become better at leading is through practice. To jump on various opportunities that will challenge you and get you outside your comfort zone. I know that you’ve already taken that step by challenging yourself to speak in front of an audience. However, being part of the Executive Committee takes that challenge to a higher level. In the next several weeks, our Club Officers will share their experiences. This will give you a broad perspective of their experience in the role they are serving. Find out what type of leader you are by serving and contributing your unique skills and passions. Ask yourself how can you best contribute? Please reflect upon your special talents that would fit best in these roles and deeply consider in becoming a part of the 2019/2020 TM7 Executive Committee. 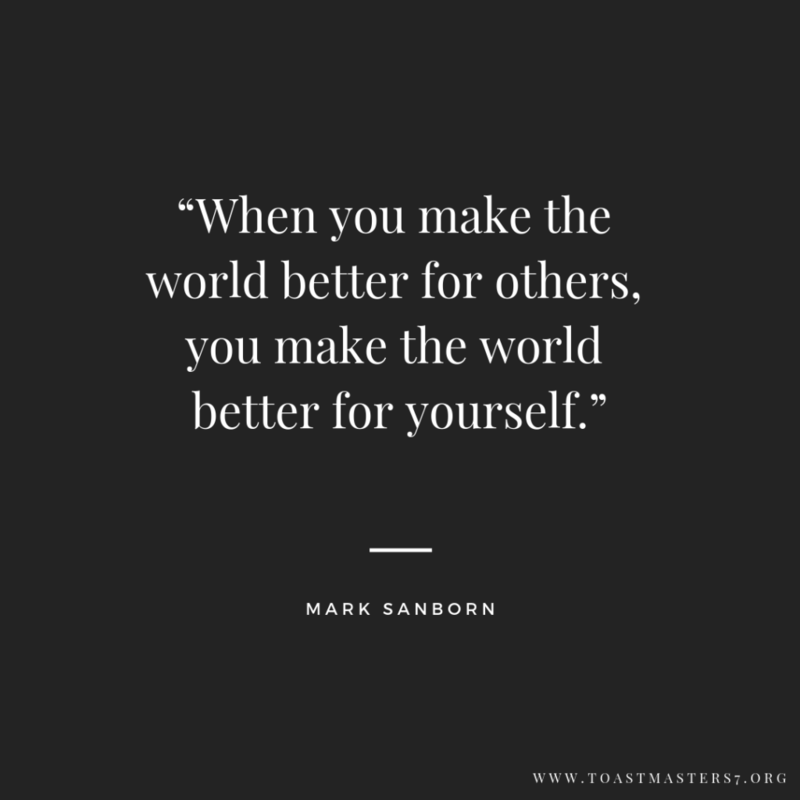 Start out small and make our club better for others and watch your contributions make you a better person. Do you know your Club Officers? Get to know your officers by visiting this link!